Dreadlocks Forums » Forum » Dread Products » Page » Shea Moisture shampoo? So I did some research on shampoos, and seen this one was recommended by a few people who had good luck with it .I plan on getting a different brand in the future, but this had to do for now while I wait to have money for a better one lol. Just curious to who uses this and what you guys think. I've used it twice and it's not bad, it makes my hair feel really clean, but it also leaves it feeling very soft once it dries. I also noticed it doesn't leave and smell behind so I see that as a plus. I'm not sure if it leaves a residue. The last wash I did I think I didn't rinse very well because my front bangs that are loose hair felt a little weird for a few hours. Any recommendations welcome! I'd love to try another brand just to see what it's like . whats wrong with them smelling great? I had always thought that smell left behind from shampoo meant that it left a residue, but I would love for them to have a scent besides clean hair smell lol! 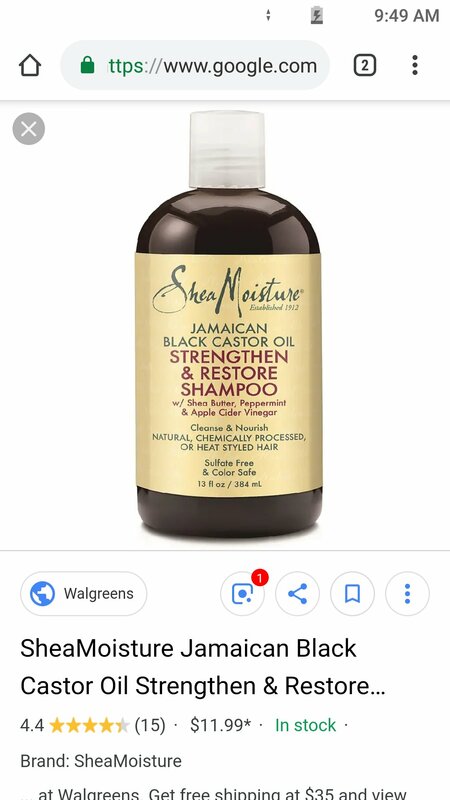 I have seen so many recommendations for dreadlocks shampoo all over the internet and I will be getting some of that to try out, especially while they're still so new. scent has to be airborne to be sensed, so any scent.. although could be considered 'residue" has to be so loosely "attached" to freely drift off the hair constantly. it won't buuil d up like the kind of residues you ned to look out for.. its really buildup tht is the concern. we used to use the term "jonny logic" for the way the guy that claims scent is residue thinks// you shoulda been around for the whole 'great wax debate"
That actually makes a lot of sense! I didn't think about it that way. That's most likely where I've read it before. wait..still swears byy wax..even now? Yes! There's people out there that despite all my efforts to convince them, still swear by the wax. It's mostly the people who have the really polished looking hair, they aren't really in it for the Long haul so they only care about how they look right this moment and not about the future of their hair. I'm all about being as real as possible with it, I love the natural look.